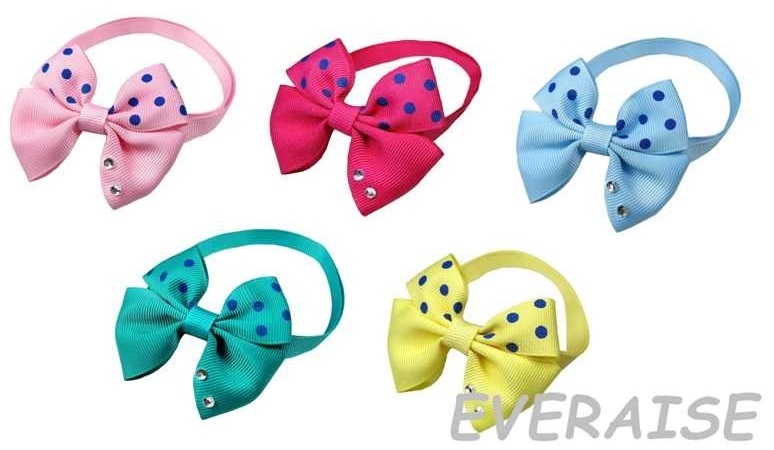 Unique patterned grosgrain ribbon bow tie collars in a mix of four modern colors. A bright grooming accent that looks great on dogs of all sizes and personalities. Each measures 7cm and has a safety buckle on the neck.